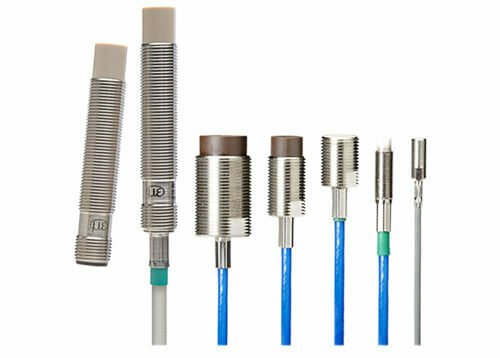 Non-contact inductive sensors of the series eddyNCDT measure wear-free positions, displacements or distances. Inductive sensors are mainly used for highly accurate measurements being effected in industrial ambient. Eddy current sensors of Micro-Epsilon are often used in applications where keen ambient conditions are present, however maximum precision is required. As the high-frequency lines of flux which are generated by the coil penetrate non-metallic material, measurements can be effected even under difficult ambient conditions (e.g. fouling, pressure or oil). Furthermore, this special feature allows the measurement of plastic-coated metals e.g. the measurement of coat thickness. OEM-solutions for customerised integration are possible upon request.